Recently, I reconnected with a good friend over lunch. 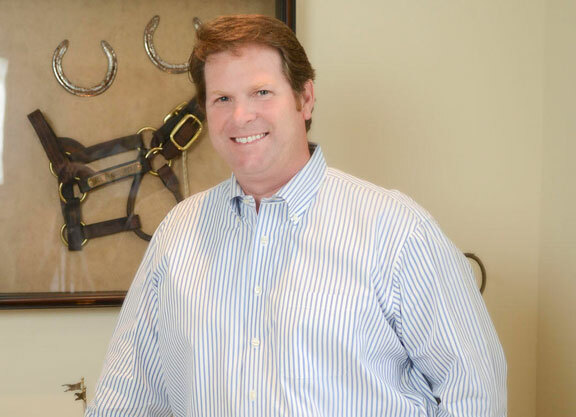 He too works in the Thoroughbred racing industry and has been a very high-profile executive. During our meeting we spoke openly about issues challenging our industry and asked ourselves, what areas are our positives? I am very happy to say the positives were plentiful and, while there are negatives, none of them seemed insurmountable. Fact: There were 0.5% (869) declared post-race positive tests out of 169,613 horses tested on race day in 2013 (RMTC). Many companies would love to have their employee drug screen fall below 1%. So why do some within our own industry want to propagate and misinform our fan base with inaccurate negatives? Same message, different connotation. 2. Headline: All of the drug “positives” reflect some attempt by nefarious horsemen to gain an unfair advantage. Fact: The majority of the above mentioned 0.5% was due to very modest overages of legal therapeutic medication. These medications are used every day by licensed veterinary practitioners for treatment, recovery, therapy and rehabilitation. The majority of overages or “positives” are not illicit or illegal drugs. Yet that is how it is portrayed. Same message, different connotation. 3. Headline: We have no uniformity and, in order to survive, we must have uniformity. Fact: Are we to believe that 100% of any objective is achievable? Has the NFL eliminated 100% of abuse in their sport? Of course not. Many outside the industry, including many politicians, are told that, since 2006, only nine jurisdictions comply with the National Uniform Medication Program (NUMP). That is a true statement. But the allegation by some in the media is that we are not moving toward uniformity. So what if that same media reported in April of 2015 that 25 of the 34 racing jurisdictions complied with, or are in the process of adopting at least two or three stages (out of four) of NUMP. Same message, different connotation. 4. Headline: The number of starts in the U.S. has declined over the last 20 years, reflecting a weaker Thoroughbred race horse. Fact: The Jockey Club, in 2006, published in their Fact Book a chart called “Thoroughbred Racing and Breeding Worldwide.” Statistics from 1994 show the U.S. as having 545,305 starts from 67,301 starters, or 8.1 starts per horse. Yet we continue to hear how the use of therapeutic medications is eroding the soundness of our racing stock. Comparing the top 12 countries in 1994, only Italy (9.1), Japan (8.5) and Canada (8.2) had more starts per horse than the U.S. Fast forward to the last year The Jockey Club put that chart in its Fact Book, 2006. Guess what? The U.S. moved to third. To be fair, the number of starts dropped to 6.31, but so did Japan and newcomer South Africa to 7.7 and 6.37, respectively. Both of those countries race with no race-day medications, so why did they drop, if as some say, we are making our horses less sound with medication. Same message, different connotation. 5. Headline: The breakdown rate in the U.S. reflects poor stewardship of the horse and the use of medications when compared to other countries. Fact: Let’s go back to some facts. In 2004, in Victoria, Australia, there were 0.44% fatalities per 1,000 starts, and the United Kingdom reported having 0.9% fatalities, all from causes on the racetrack. Now compare that to numbers we see in The Jockey Club’s Injury Database (from News Releases, 3-13-15) that show the fatality rate in 2014 was 1.89 per 1000 starts (1.89%). However, in the U.S. that number is calculated “in fatalities within 72 hours from the date of the race.” It is very important to understand, and often not conveyed, that many other countries ONLY calculate their fatality rate from horses euthanized while on the racetrack. Why can we not get this number from the Jockey Club in order to make a true comparison between countries? Same message, different connotation. We need to focus on campaigns and advertising that emphasizes the beauty of the animal and the ownership experience, both racing and breeding. We should be focusing on these magnificent animals. We should make clear that our sport exemplifies good stewardship of the animal and that we take care of our own with aftercare initiatives. We need to focus on educating our fan base and the general public so they understand our wagering game. We should be focusing on the fact that in these economically difficult times our yearling prices have rebounded in the last six years to prerecession figures, an increase of 66% since 2009. We should point out that our purse structures in the U.S. had a five-year average of $1.092 billion, but in 2014 we saw purses at $1.112 billion, despite intense competition for the entertainment dollar and difficult economic times. Why focus on a one-year or two-year decline, when we do not compare investment trends from year to year? Why not acknowledge that our average field size per race over the last 15 years has been 8.1 instead of proclaiming a drastic reduction? In 1960, the average field size was no more than 8.95. We should focus on introducing prospective owners into the sport and we need to keep current owners engaged. Infighting in public will not get that done. We need to realize that we are an entertainment industry whose financial resources come largely from expendable income. If we all want to help drive handle and increase track profits and purse accounts, then we all must focus on the positive.